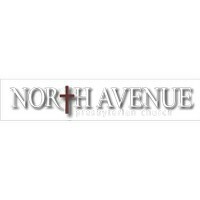 An urban church in the heart of Atlanta, North Avenue has a thriving congregation composed of people from all walks of life and backgrounds, including members of more than 30 different nationalities. Parking: Limited free parking is available on Sundays in the church parking deck (entrance off North Avenue or Peachtree Street). On weekdays, please use the church deck and enter through the ramp door on the lower deck. MARTA: Exit the North Avenue station and head south on West Peachtree St. toward North Avenue. Take a left on North Avenue and then turn right on Peachtree St.